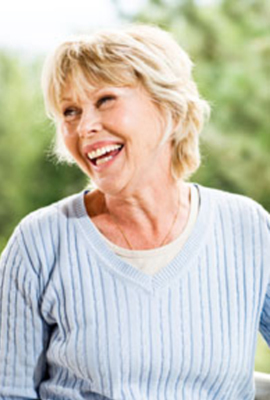 Here are answers to the some of the more common questions asked by Denture Wearers. If you still have any further questions after reading this section, please feel free to ask me during your FREE initial consultation. How much will my consultation be? All patients to Adam Norris Dental Laboratory are offered a FREE 30 minute consultation. Adam Norris Dental Laboratory offers flexible appointment times including late evening appointments. What will my appointment at Adam Norris Dental Laboratory involve? During your first appointment, Adam will listen to you and your needs and discuss your requirements, he will inform you of all the options that are available. He will show you samples of materials to help you choose the Denture that best suits you and your budget. A written, no obligation, treatment plan will then be posted to you covering all the options discussed at your consultation. This allows patients to make an informed choice about the treatment option that best suits them. What happens if my Dentures hurt or need adjusting? It is not uncommon for new Dentures to need adjusting to ensure the most comfortable fit. Any required adjustments usually become apparent within the first week of wearing a new Denture. At the Adam Norris Dental Laboratory we do not limit the number of follow up appointments available for any adjustments required. All adjustments are made FREE of charge. Can I see Adam Norris without seeing my Dentist? Patients who have experienced total tooth loss can be treated at Adam Norris Dental Laboratory directly where Adam Norris will create and fit your Complete Dentures. However, if you have natural teeth remaining, following your initial consultation at Adam Norris Dental Laboratory, it is imperative that a Dentist examines your mouth so that a personal treatment plan can be developed. This ensures only the highest standards of care are provided and that your treatment is planned correctly. As we work within a dental practice this enables us to easily access the skills of a Dentist. Alternatively, you can ask your own Dentist for a referral to our clinic. Click here to download our Prescription Form to take to your own Dentists. Will my Dentures make me look different? Adam Norris can work from photographs and from the shape and size of any remaining teeth to design your Dentures in a way that restores the natural appearance of your teeth. With Partial Dentures, you should detect little change in your appearance while Complete Dentures may be more noticeable. By replacing all of the teeth you have lost and the adjacent tissues in your upper or your lower jaw, you will regain a complete dentition, and complete tooth replacement provides crucial support for your face, especially around your mouth, lips and cheeks. This can sometimes leave you feeling that your replacement teeth are too far forward or your lips are too thick. This is perfectly normal and after a few days, this feeling will disappear. Adam Norris will ensure you are happy with your new look before your final fitting. While Adam Norris will ensure that your New Dentures have a positive effect on your speech, pronouncing certain words may require practice. Any initial difficulties soon subside and reading out loud and repeating troublesome words can help speed up the process. It is common for people to salivate more when a Denture is fitted, which can affect speech. This will soon subside as your mouth becomes used to the presence of your Dentures. Sipping water can help to thin down saliva, and you will also find that the situation can be improved simply by swallowing more often. If you find that your Dentures occasionally slip when you laugh, cough or smile, reposition them by gently biting down and swallowing. Normally, it is simply a matter of personal choice as to when and how long you wear your Denture. However, it may be advisable that within the first few days of having your new Dentures fitted, you wear them most of the time, including while you sleep. After an initial adjustment period, you may then be advised to remove your Dentures before going to bed. Removing your Denture before bed will allow your gum tissues to rest and promote your oral health. If this is not possible, then find time to remove your Dentures when you are in private. Generally, it is not desirable that the tissues of your mouth are constantly covered by Denture material. Removing your Dentures even for a short while will allow your mouth to rest. Dentures must be brushed daily to remove food deposits, plaque, prevent permanent staining, and keep your mouth healthy. Dentures are very delicate and may break if dropped from even a small height. When handling your Dentures, stand over a folded towel or a basin of water. When you are cleaning your Dentures, use a toothbrush with soft bristles or one that is specially designed for cleaning Dentures. Avoid using hard-bristled brushes as these can damage the surface of your Dentures. Ultrasonic cleaners can also be used to care for Dentures. However, using an ultrasonic cleaner does not replace a thorough daily brushing. Conventional toothpaste is not suitable for cleaning Dentures and may abrade and permanently damage your Dentures. Some Denture Wearers use hand soap or mild dishwashing liquid, which are both acceptable for cleaning Dentures. Avoid using other powdered household cleansers, which may be too abrasive. Avoid using bleach, as this may whiten the pink portion of the Denture. To protect your Dentures when you are not wearing them, store them safely and keep them wet. Soaking your Dentures in a specialist solution will help keep them fresh. Always follow the manufacturer's instructions for use. Never try to adjust or repair a Denture yourself as in doing so you can seriously damage your replacement teeth, and even own your health. Super glue should not be used to repair your Denture, as it can make future repairs impossible. It also contains harmful chemicals that should not be put into your mouth.